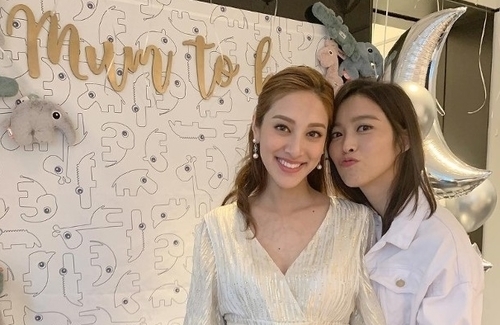 Yesterday, five months pregnant Grace Chan (陳凱琳) hosted a baby shower and invited a lot of good friends including artists Jeannie Chan (陳瀅), Winki Lai (賴慰玲), and Stephanie Ho (何雁詩). 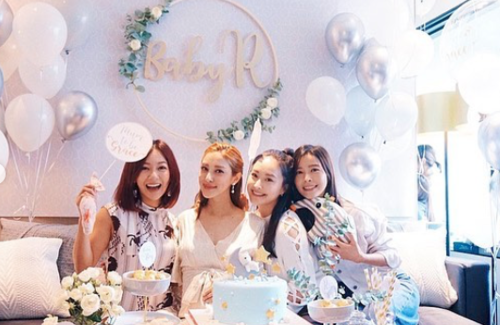 Although Grace’s belly was protruding in her deep-V dress, the girls all expressed their disbelief that Grace will be a mother soon, stating that time passes by quickly. 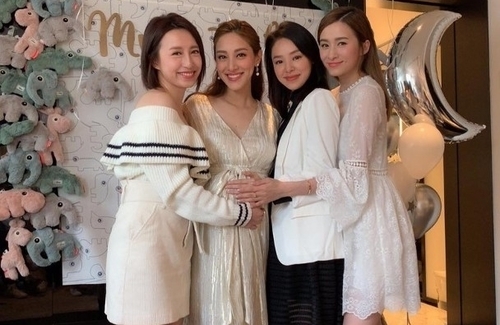 Although there are a few months left before the arrival of Kevin Cheng (鄭嘉穎) and Grace’s baby, Winki is already fantasizing on taking care of their children together. She can imagine both their boys sweating running around in the park, and running up to them yelling, ‘Mom, I want water,’ with Grace’s child possibly saying it in English. Then the mothers will take out their water bottles and help the children wipe their sweat. 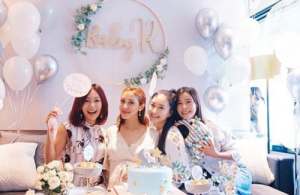 However, Jeannie is confident that Grace will be the “best mummy because [Grace’s] always so sweet and thoughtful to everyone [she] loves.” The actress also added that everyone is waiting for Baby R’s arrival. 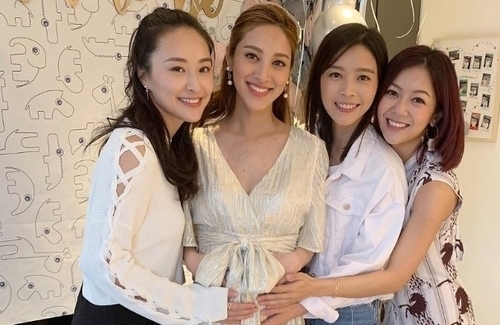 Previously, Grace stated she and Kevin already picked out a few English names but are considering naming him after he is born. Isn’t it too early for her baby shower? @cutie777 It’s probably more convenient to have the shower now so Grace can still have time to shop for baby things she didn’t get from the shower yet. With another 2 to 3 months to go before the baby arrives, she will have plenty of time to get the house ready.